The historic Makinohara district of Shizuoka Prefecture is one of the world's premiere tea growing regions where one can literally view a green sea of tea bushes. Being located on the Pacific Ocean coastal plain allows for gentle breezes, ample night time moisture and plentiful sunshine, just the right conditions for growing superb green tea. Our supplier is a highly skilled artisan tea company that harvests from their own tea fields, resulting in complete control from start to finish. You will taste the difference of their expertise. This tea is available in a 500 gram "Plain Wrap" package. This represents a 25% savings. 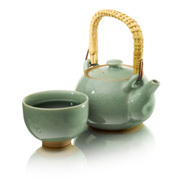 If you are a first-time buyer at Shizuokatea.com, we recommend you try our smaller consumer-size packages first as the larger bulk sizes are not included in our Guaranteed Satisfaction Policy. 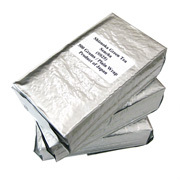 Brewing instructions are not printed on Consumer (Bulk) packages. Please see the How To Brew page for brewing instructions. Makinohara Shincha brews exactly like regular Sencha.